Do you dread shoveling tons of snow from your driveway or your business’s parking lot after a brutal snowstorm? 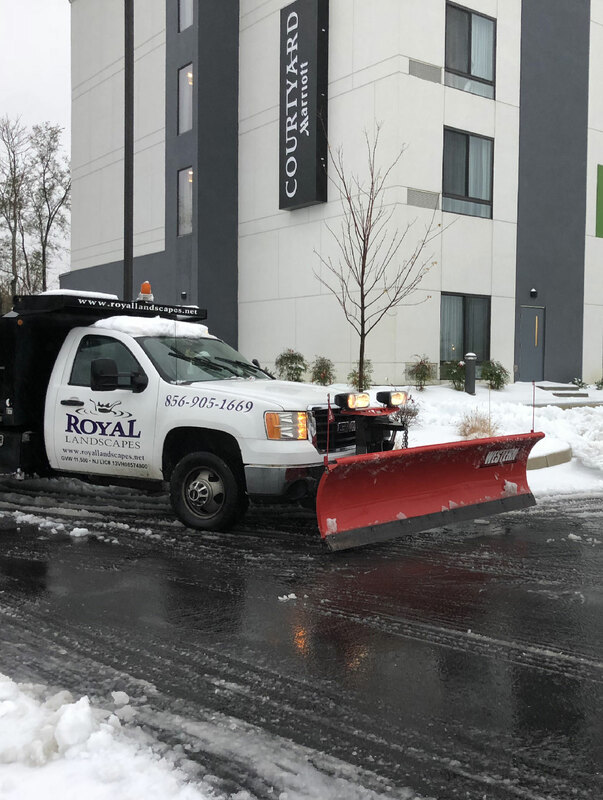 In addition to being a reputable landscaping company in South Jersey, Royal Landscapes also provides snow removal services. We are fully equipped to remove snow from driveways and walkways as well as large commercial properties, parking lots and streets. We do like to emphasize to our customers that we ONLY use shovels and snow blowers on residential properties. We do also lay salt on commercial properties in preparation of an impending storm. Be prepared for the next big storm by having snow removal services already in place for your South Jersey residential or commercial property.